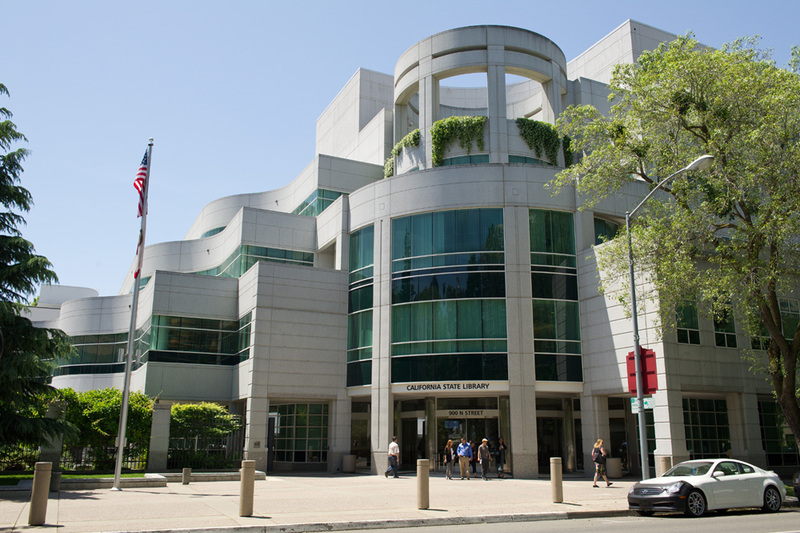 9:30 a.m. – 4:00 p.m..
Join us for a day of research in the California History Room at the State Library in Sacramento, and for a tour of the California State Archives, a few blocks away. Members are responsible for handling their own commute arrangements but are invited to travel together, by train, on the Amtrak Capitol Corridor, train No. 524. Members who live in the greater Sacramento area may meet us at the library but are asked to please register in advance. Participants may buy lunch at one of the cafes in the Capitol area, or bring lunch to eat in the building lunchroom – or in the gardens around the Capitol. 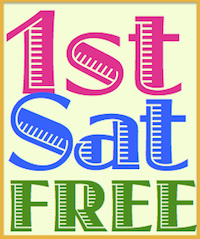 We will start with a library orientation at 10:15 a.m. and then we will be set loose in the California History Room! What will you find there? Manuscripts, diaries, letters (these items may have to be retrieved from the storage “vault”), books and on microfilm, a large selection of California newspapers, many not yet digitized. Explore some of the library's holdings at the Main Catalog using the Basic Search or Advanced Search. Download the Selected Guide to the Sources for Genealogy in the California History Room. After lunch, we will walk over to the California State Archives and tour of some of its vast and varied holdings. A collections page summarizes the materials located here. Our return train trip will leave on Sacramento Amtrak No. 543 at 3:35 p.m. The walk to the Amtrak station takes about fifteen minutes. Those who would prefer may take a taxi. This field trip is organized for members of the California Genealogical Society. Non-members interested in participating are encouraged to become members prior to March 15, 2013. The maximum group size is twenty members. Please reserve your place by Thursday, April 25, 2013. Photograph courtesy of the California State Library, Sacramento, California.